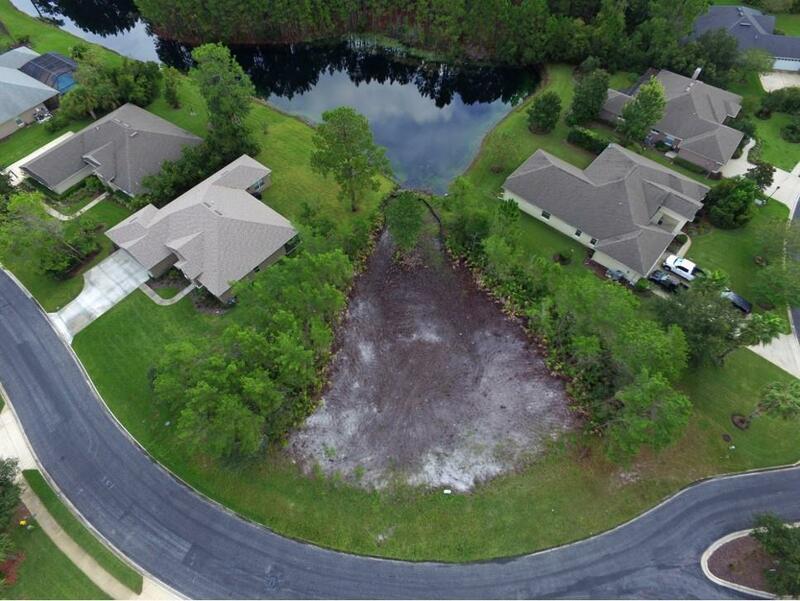 Only lakefront lot left at Sea Pines. Huge lot, already cleared and ready for new construction on Mirror Lake Drive, high and dry - no fill necessary. Underground utilities, community pool and rec area. Halfway between Dupont Center and Crescent Beach. 3 minutes to Crescent Beach via 206. Gated and extremely well kept community. Choose your builder. Owner financing available with 20% down and 6% interest. Seller is licensed Florida Realtor.